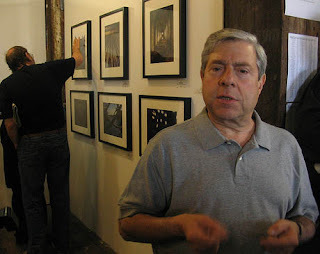 You can cross Marty Markowitz if you want, but give him a courtesy call first. Following a week of public scrutiny for his decision not to reappoint nine Community Board 6 members, the borough president vehemently denied his actions were in retaliation for their opposition to aspects of the Atlantic Yards project. "I was not given the courtesy by the members of this board to contact me -- as the person who appoints them -- and say, 'Marty, we want to vote against Atlantic Yards,'" Markowitz said. He goes on to say, "If my intention was to be vindictive, and to make sure that everyone that voted against Atlantic Yards was to be removed, you understand I had the power to do that." He also says: "I'm not going to say I don't have a temper every now and then, but overwhelmingly I don't. But I was not happy about the community board's vote. I've made no pretention about that.